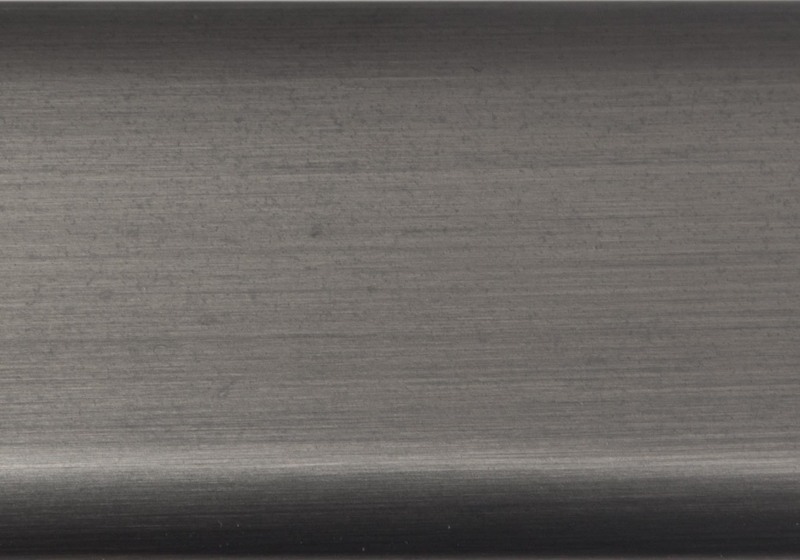 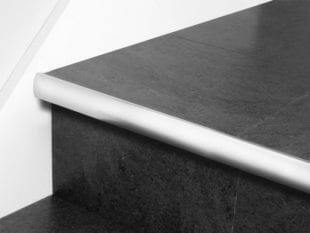    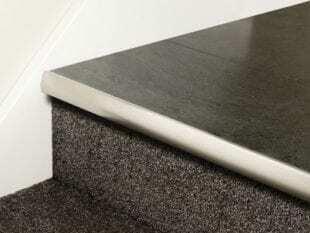 The Premier LVT Nosing Full Bull stair nosing strip has a rounded profile and fits along the front edge of a step that has a standard overhang (bull). 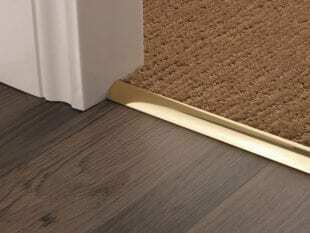 Also suitable for use with carpet tiles. 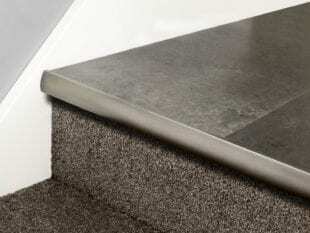 The Premier LVT Nosing Full Bull stair nosing strip has a rounded profile and fits along the front edge of a step that has a standard overhang (bull). 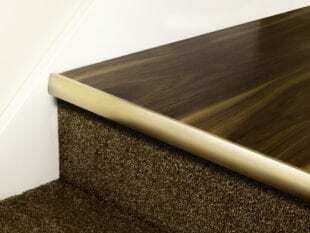 Suitable for a staircase fitted with Luxury Vinyl Tile (LVT) up the treads and risers and on the landing. 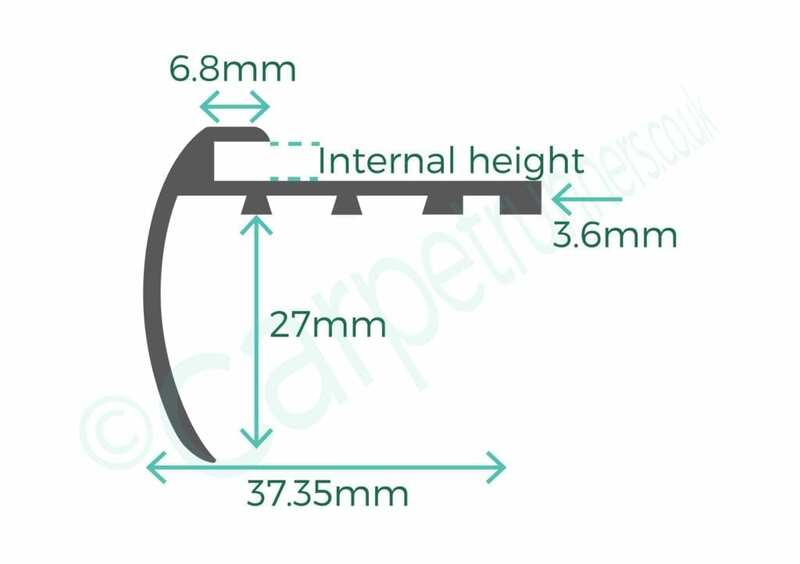  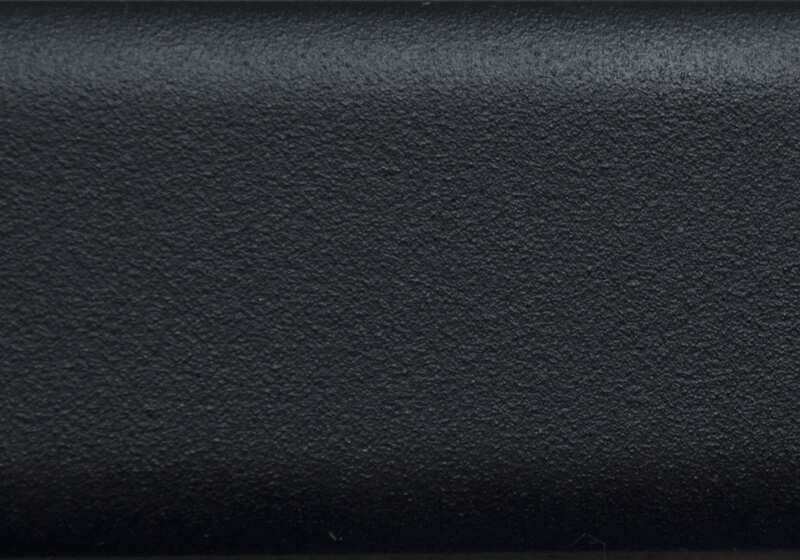 The 5mm version can also be used with carpet tiles, depending on advice from your fitter. 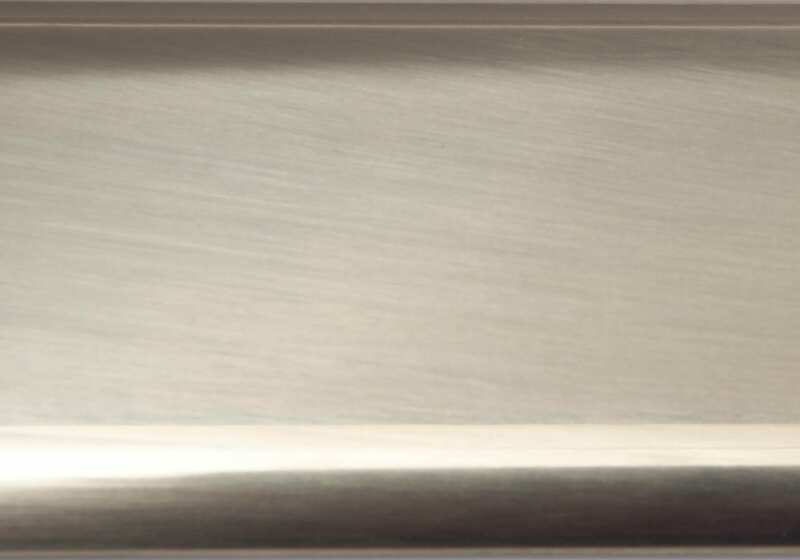 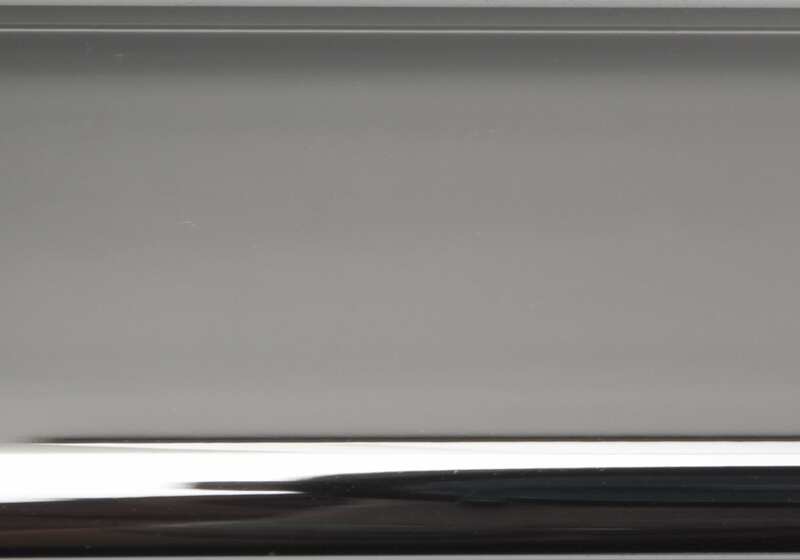 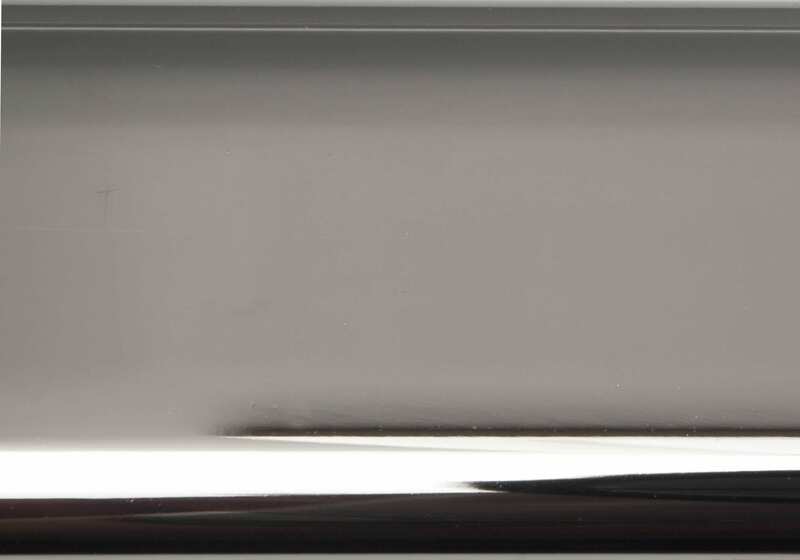 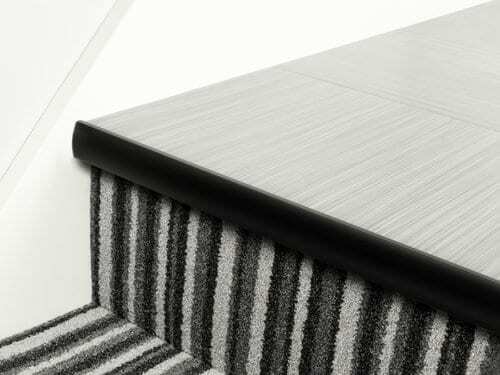 The nosing strip securely covers the front edge, covering any joins and protecting the front of the step from excess wear and tear. 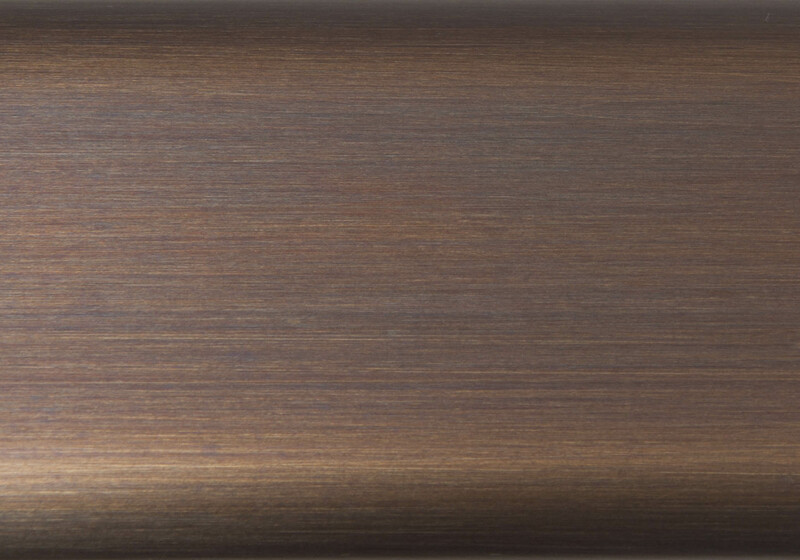 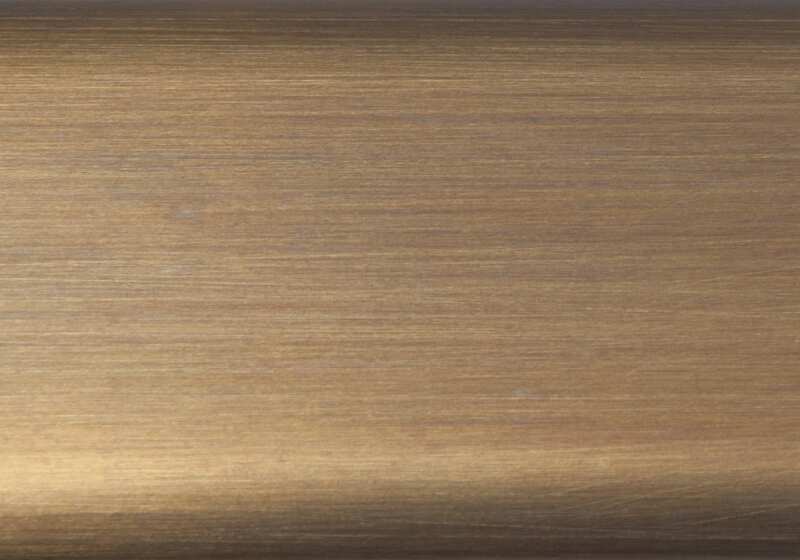 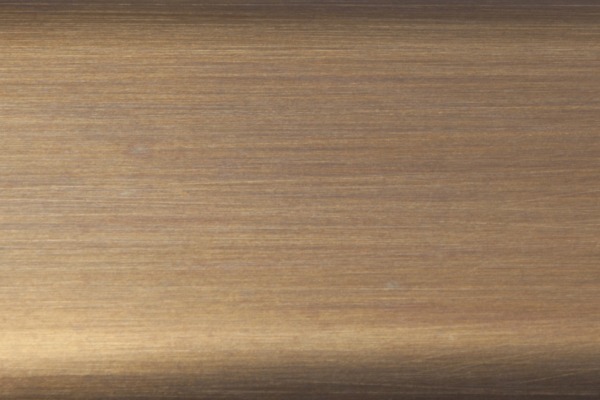 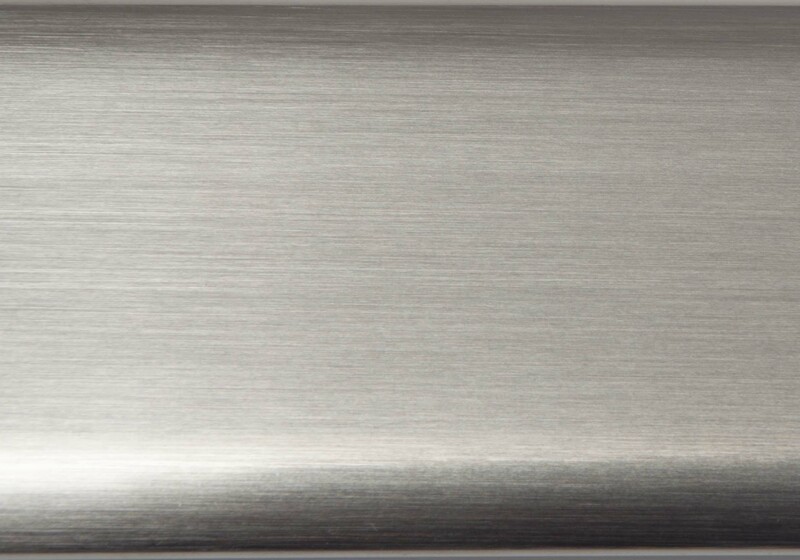 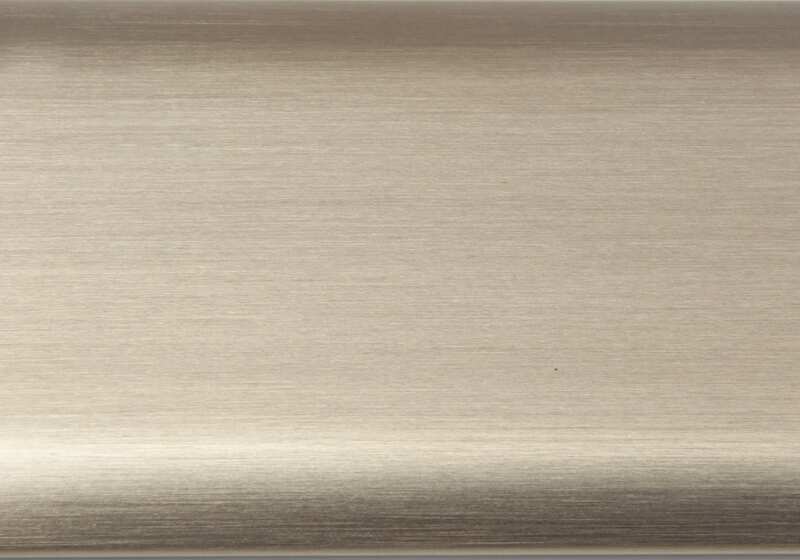 Made in solid brass in a choice of 10 smart, metal finishes. 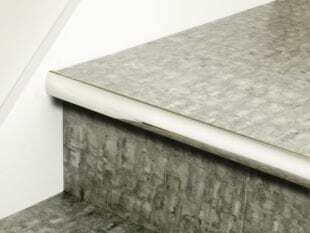 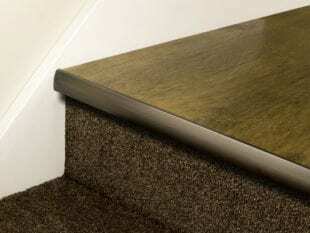 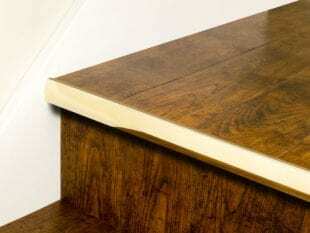 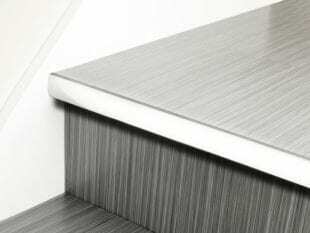 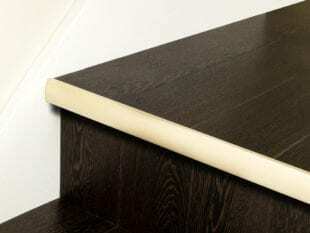 Only suitable for staircases where the treads, risers and landings are fitted with LVT. 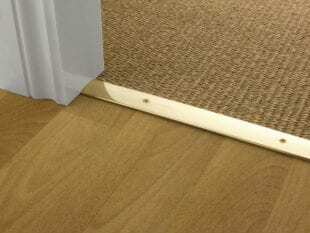 The 5mm version (only) can also be used with carpet tiles. 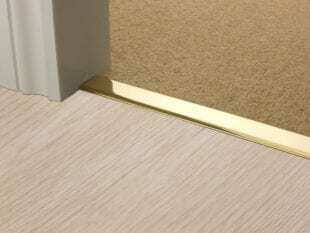 Each LVT Nosing Full Bull is pre-drilled along the middle and back edge. 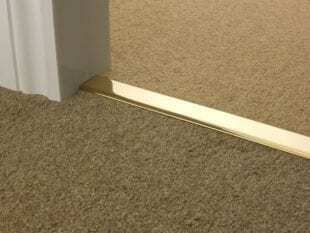 Designed to cater for landings fitted with floating (click method) LVT, allowing for expansion However, avoid 9mm plywood on landings as this may expose the Nose.